The RAM-D-254U 2.44" Base with 2.25" Ball (Amps) features a large 2.25" rubber ball attached to a 2.4" diameter round base with AMPS hole pattern. 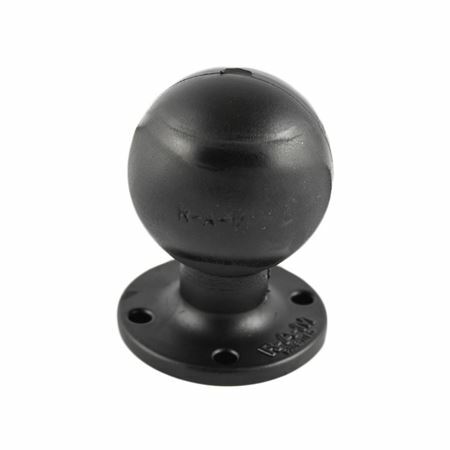 The RAM-D-254U RAM 2.44" Dia Base w/ 2.25" Ball (Amps) from the RAM Mount Bases range is made of a 2.25” diameter rubber ball that is joined to a 2.4375” diameter round plate at right angles. The plate is built with three holes at 120 degrees and another pair of holes at 180 degrees. The product is professionally powder coated with marine grade aluminum.